“[Unsalted food] is rotten and stinking [so] it is necessary to lose your senses of taste and smell and sight just to [consume] it and not sense it,” wrote Eugenio de Salazar, a Spanish explorer to the New World, in 1573. Before canning technology or refrigeration were invented, the English Parliament enforced strict limitations on provisions to reduce illness and death from food spoilage. Unfortunately, these methods of preservation also decrease the nutritional value of food on lengthy voyages. This project hopes to understand the effects of shipboard diet on the health of sailors by determining the nutritional intake of seamen on 17th-century English ships. Previous attempts to gauge the nutritional value of shipboard diets were based on historical documentation instead of laboratory data. In this project, shipboard food will be replicated using the exact ingredients and methods of preparation from the 17th century, including non-GMO ingredients, the exact species of plant or animal, and the same butchery methods and cuts of meat. Archaeological and historical data will be used to replicate the salted pork and beef, ship biscuit, wine and beer, and other provisions aboard Warwick, an English race-built galleon that sank in 1619. 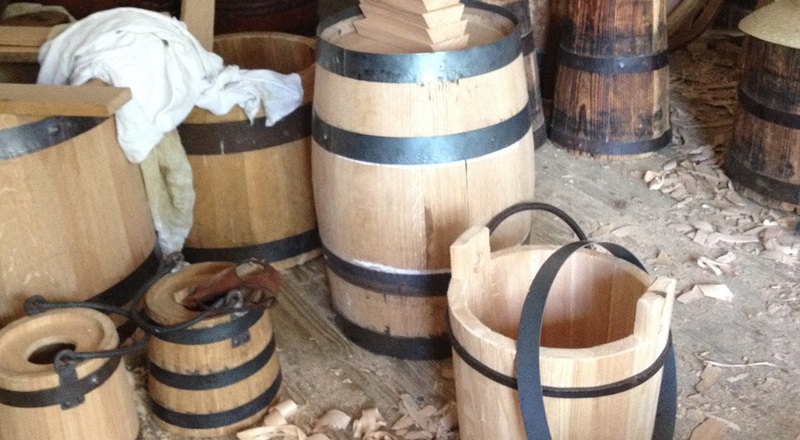 Then, a trans-Atlantic voyage will be simulated by storing the food in casks and keeping these in a ship’s hull for three months. Every ten days, representative samples of food will be sent for nutritional and microbial analysis. Lastly, this project compares laboratory results to data that has already been derived from human remains on wrecks such as Mary Rose (1545) and Vasa (1628). The nutritional, microbial, and osteological data gathered from this project will allow for a detailed reconstruction of subsistence on board ships, and offer a glimpse into the unique food situation, health, and daily life of this subset of individuals. The project is directed by Grace Tsai, a PhD student in the Nautical Archaeology Program and INA’s Membership Coordinator. Gardiner, Julie. 2005. Before the Mast: life and death aboard the Mary Rose. The Archaeology of the Mary Rose, Volume 4. The Mary Rose Trust, Portsmouth. Heidenreich, Conrad E. and Nancy L. Heidenreich. 2002. A nutritional analysis of the food rations on Martin Frobisher’s second expedition, 1577. Polar Record 38(204):23-38. Hornsey, Ian S. 2003. A History of Beer and Brewing. The Royal Society of Chemistry, Cambridge. Ives, Vernon A. 1984. The Rich Papers: Letters from Bermuda 1615-1646: eyewitness accounts sent by the early colonists to Sir Nathaniel Rich. University of Toronto Press, Toronto. Kilby, Kenneth. 1971. The Cooper and His Trade. John Baker Ltd, London. Mandelblatt, Bertie. 2007. A Transatlantic Commodity: Irish Salt Beef in the French Atlantic World. History Workshop Journal 63: 18-47. May, Robert. 1660. The Accomplisht Cook, or the Art and Mystery of Cookery. Original manuscript. Phillips, Carla Rahn. 1986. Six Galleons for the King of Spain: Imperial Defense in the Early Seventeenth Century. The John Hopkins University Press, Baltimore. Rixson, Derrick. 2000. The History of Meat Trading. Nottingham University Press, Nottingham. Smith, John. 1966. The Generall Historie of Virginia, New-England, and the Summer Isles. University Microfilms, Ann Arbor. 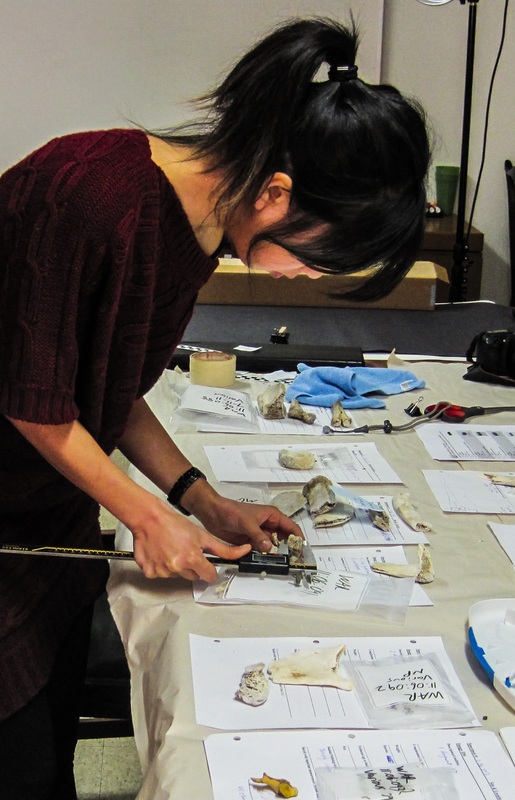 ABOVE: Grace Tsai cataloging the faunal assemblage from the 1619 Warwick shipwreck (Left Photo: NMB, 2015). 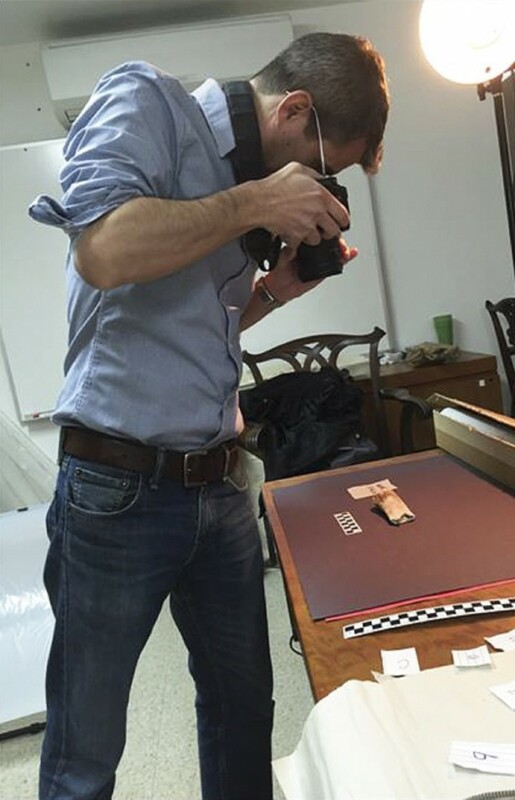 José Luis Casabán photographing a long bone fragment (Right Photo: NMB).